You must be a member of the Beijing Photography Group to attend this activity. Would you like to join this group? Have you ever wondered how China looked like Protected content ago? 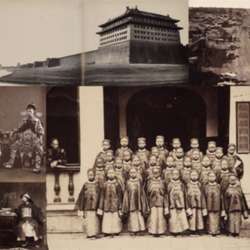 This exhibition brings together Protected content works by the leading figures in nineteenth-century photography in China, including the first visiting photographers and the earliest Chinese masters. It allows us to visit the people, places, and events of the past and offers a precise view of otherwise inaccessible people and places. Please note that the museum is on the Tsinghua University campus. Bring your passport in case there are any security checks.